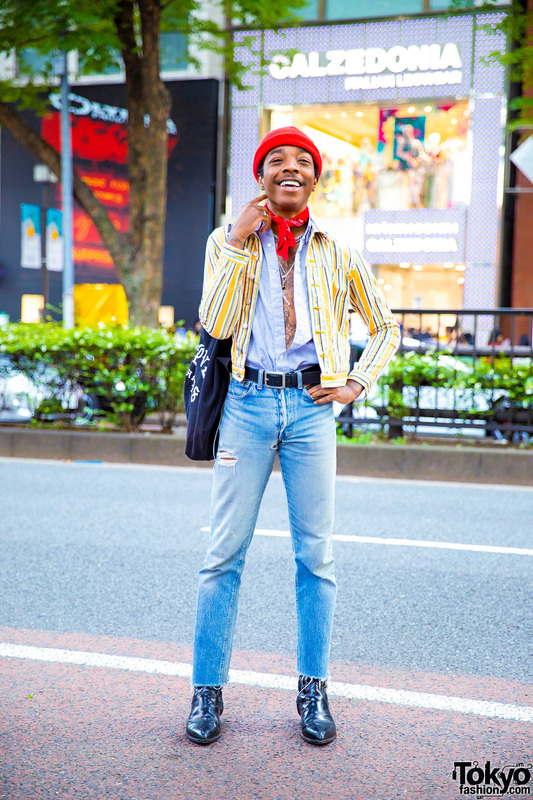 Tokyo college student wearing a black and white streetwear look during a snowy day in Harajuku with a faux fur jacket, platform shoes, crossbody bag, and clear umbrella. 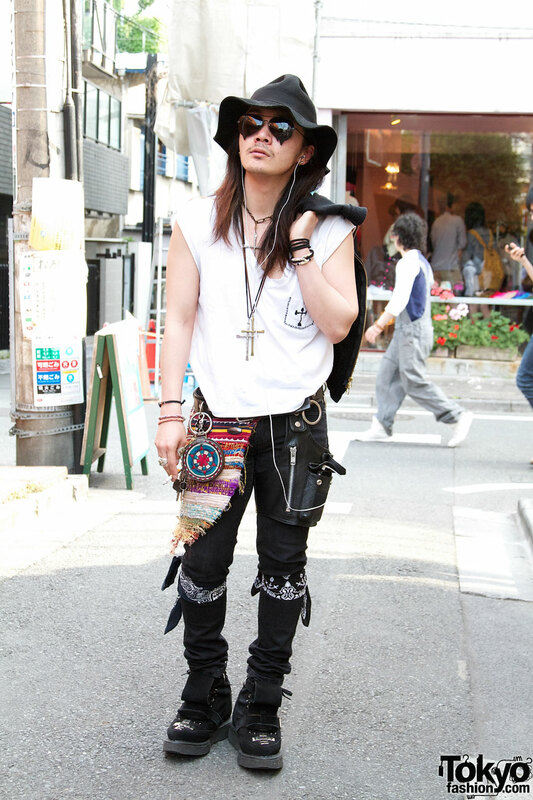 Harajuku guy in faux leather street fashion wearing a vintage black blazer over layered t-shirts, faux leather shorts, metallic sneakers, faux leather cap & silver jewelry. 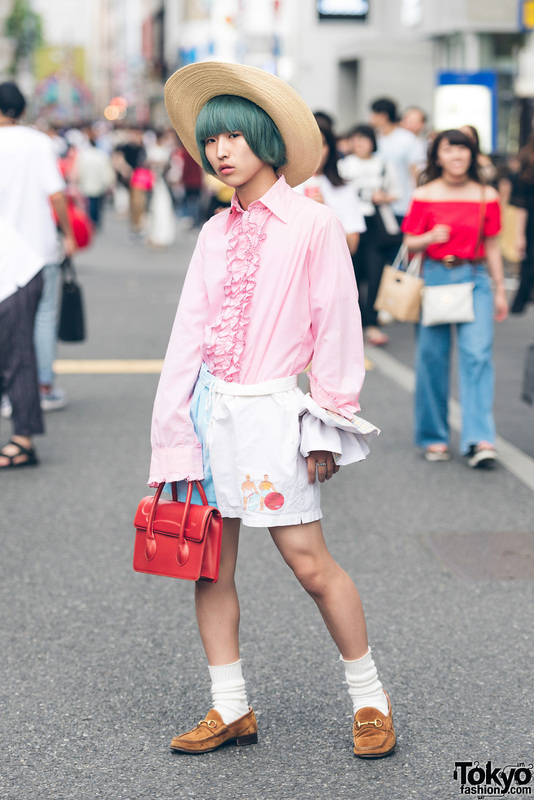 WEGO staffer in floppy felt hat and Labrat x George Cox.boots with a variety of unique accessories. 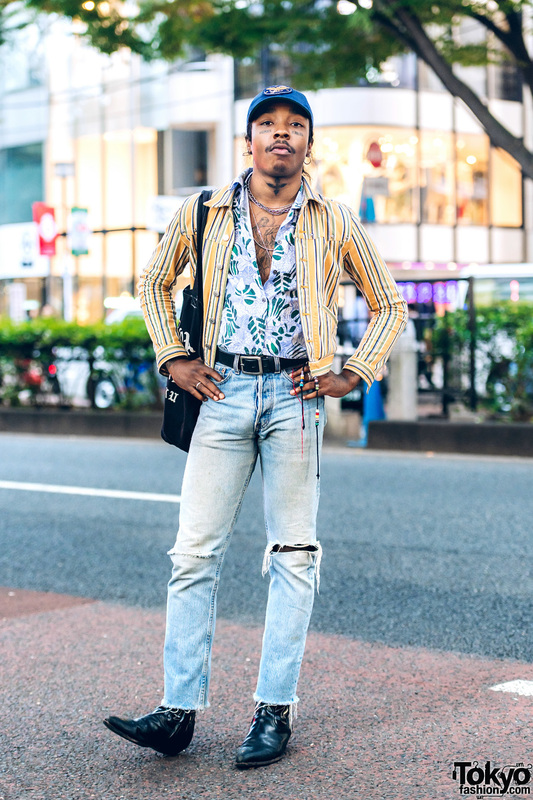 Stylish Harajuku guy wearing a knit-and-leather jacket from Blackmeans along with patched torn jeans and Vivienne Westwood x George Cox boots. Blonde college student in outfit from Berberjin with Tokyo Bopper sandals and Fafi graphic bag. 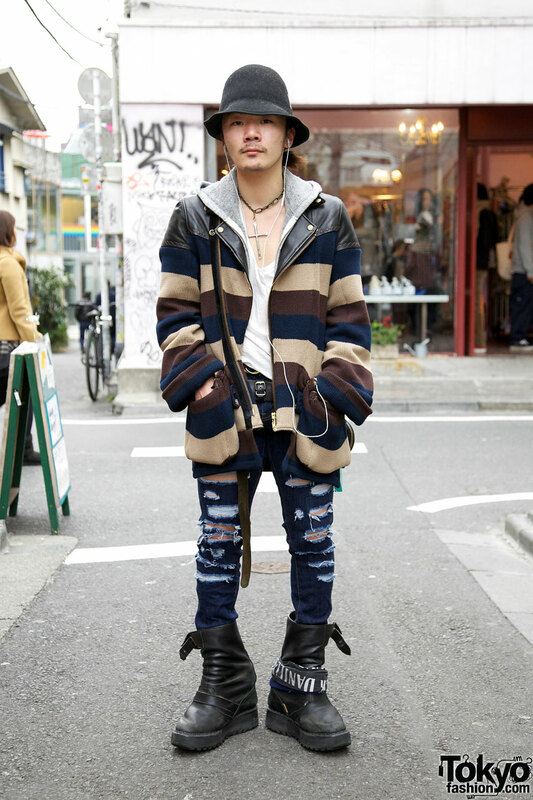 WEGO Harajuku staffer in Vivienne Westwood x George Cox boots & Blackmeans sweater with leather trim.